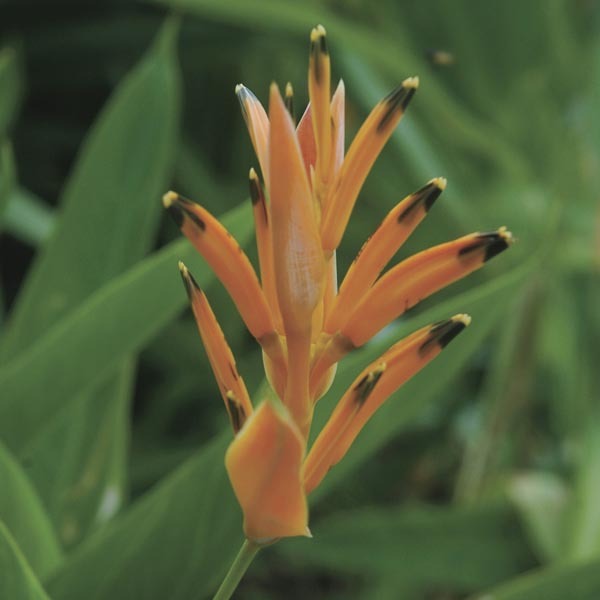 Transform the landscape into a tropical paradise with the big, bold foliage and striking orange blooms produced by Parrot’s Beak Heliconia. Place plants in large patio containers to enjoy the hummingbirds that are drawn to the nectar of the tubular flowers. Grows well as an indoor plant if given a bright location. Makes a breathtaking specimen plant. Nice for larger patio containers. Appropriate near water and in damp woodland settings. Cut flowers are long-lasting in fresh bouquets. Best in fertile, humus-rich, well-drained soil. Keep soil moist, watering freely in dry weather. Provide shelter from strong winds. Remove faded flowers.